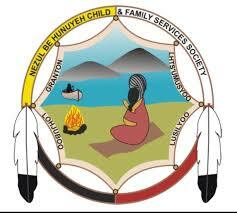 The safety and well being of Tl’azt’en and Nak’azdli children and youth is our guiding principle. We will build trust with the communities by working towards the restoration and support of the traditional family and ensuring that children residing outside their home maintain connections to their family, identity, culture and community. The communities will be empowered to carry forward the traditions of caring into the next generation and will be guided by the teaching of the Elders. Working in collaboration and partnership with the Bands, MCFD and other social service agencies to ensure children are safe, families are supported and to build community capacity. The staff at Nezul Be Hunuyeh are committed to ensuring children are safe, families are supported and communities are strong. Our name ,which was chosen by the Elders ,reminds us that caring for children is a sacred responsibility. Our team of service providers are dedicated to providing courteous and professional services to the children and families we serve. We welcome Tl’azt’en and Nak’azdli families to drop by our office at 700 Stewart Drive West in Fort St James or 1444 9th Ave in Prince George to find out more about the services and programs we provide.